Kitchen Cabs Direct is a leading supplier of wholesale kitchen cabinets to customers around the tri-state area, especially in Montclair, New Jersey. Our cabinet experts have been working tightly with our suppliers to deliver cabinets at the best prices to homeowners in Montclair, New Jersey. For several years we have been assisting homeowners with selecting the right kitchen cabinets to suit their needs. Need help deciding which cabinets to choose from? 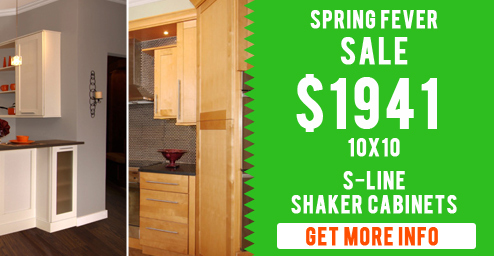 Come down to our showroom or give us a call at (201) 655-2240. We offer a wide range of affordable wholesale kitchen cabinets at the best prices in Montclair, New Jersey that are perfect for any type of kitchen. 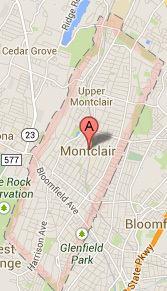 You can also visit our showroom to see our highest quality collections of kitchen cabinets in Montclair. Kitchen Cabs Direct provides the finest custom kitchen cabinetry anywhere in Montclair, NJ. With a balanced approach on both design and craftsmanship, we listen to the ideas you have for your kitchen design and how you hope to use your living space. We look at the architecture of the kitchen and the layout and we ensure your kitchen cabinet design compliments your lifestyle. Call us today at (201) 655-2240 for a free kitchen cabinet estimate as well as a free demo of what your kitchen will look like anywhere in Montclair! 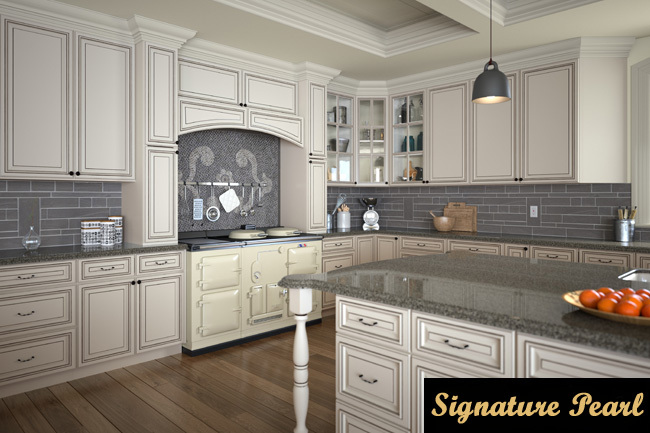 Pictured above is our collection of beautiful and affordable Signature Pearl kitchen cabinets from our Gold Line. This collection has been one of our most popular choices of kitchen cabinets by Montclair homeowners. Kitchen Cabs Direct has just moved most of their operations to Clifton, NJ which is less than 10 miles away from Montclair. We have our main showroom conveniently located for customers to come visit at 269 Parker Avenue in Clifton. Lots of street parking is available. Kitchen Cabs Direct has been providing different kitchen cabinet services for residents all around Montclair. Over time, the residents have gotten to know us and have recommended us several times for many different types of kitchen cabinet projects.